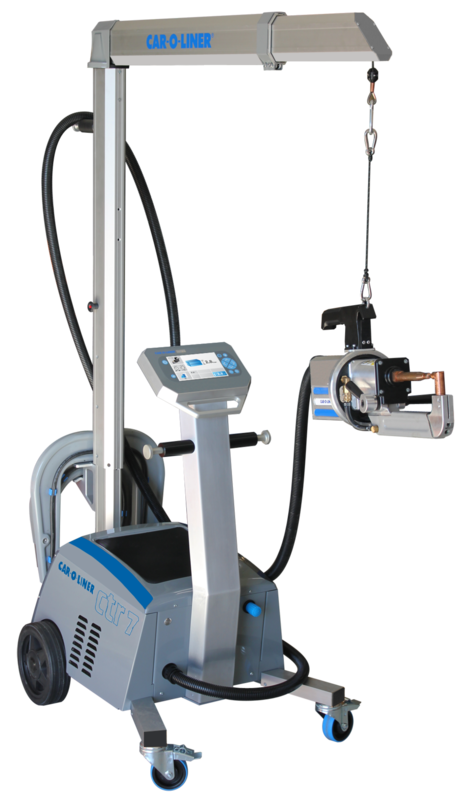 In 2018 GM announced that it will no longer recognize MIG-plug welding on its vehicle repairs—only resistance-spot welding. For a shop that sees a lot of GM work, this is significant, especially if that shop is considering purchasing a new welder. A welder is an essential piece of equipment in any body shop and for many, one is not enough. The investment is expensive but essential. Coppes shares his tips for making the best decision when purchasing a welder and the essential questions that a shop owner should be asking before they make the investment. One of the most important pieces of information that a shop owner should gather before purchasing a welder is whether or not it’s OEM approved for the type of work that he or she is looking to do. Shop owners need to look at their certifications and the type of vehicles coming in the door and can then begin narrowing down the options based on that information. Coppes points out that OEMs vary in their requirements. Some will require a specific piece of equipment and a shop owner with that certification needs to purchase that exact welder, while others will have a set of criteria that the welder has to meet. For example, Honda sets specifications, whereas VW and Audi will state a specific manufacturer and model of the welder. “When making the decision, I would advise a shop owner to make a list of their OEM certifications and then find out how many of those match up to the welder that they’re thinking about purchasing,” Coppes says. For example, if a shop has six body techs, one welder will most likely not serve the needs of all of those techs. Shop owners should evaluate how many structural, panel and other types of welds their current welder is doing and how many technicians need to use it throughout the day. Coppes says that if you have a number of similar repairs coming into your shop and only three technicians, you may be able to get by with one welder. However, if more techs need to use that welder, it may be beneficial to invest in another. A quick way to determine if you need a welder is to observe what’s going on in your shop. Coppes says if there’s a technician constantly waiting around for equipment, the time to invest is now. Although the initial investment may seem steep, another welder can increase shop productivity and yield a quick ROI. Coppes says that once you’ve looked at the need in your shop and made sure that the welder you want to purchase meets the OEM requirements that you’re looking for, it’s important to learn more about the company and find out what kind of support they provide after the sale. “Is the warranty at least 24 months? You’ll want to make sure it’s a two year or longer warranty for a welder because it lives in a harsh environment and it will be used every single day,” Coppes says. In addition, Coppes suggests getting to know your local distributor and asking about upgrades and other questions you may have down the line. Car-O-Liner provides a full 24-month warranty and continued service and support in the field. The company has a full service staff to serve and support its customers.